Go extra green with Liquid Chlorophyll ES. This extra strength, paraben free formula features a more potent level of chlorophyll - the green pigment in plants responsible for harvesting the sun's energy in photosynthesis. 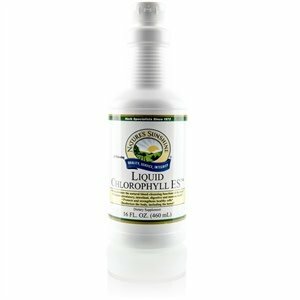 Known to support your body on both a molecular and cellular level, chlorophyll promotes intestinal, digestive and immune health. Featuring a proprietary chlorophyll complex, this minty fresh formula also helps neutralize body odors and acts as a natural, internal deodorant. Boost your energy and overall well-being today with Liquid Chlorophyll ES. Sodium copper chlorophyllin, spearmint aerial parts oil and vegetable glycerin. Take 1 Tablespoon (15 ml) in an 8 oz. glass of cold water daily.